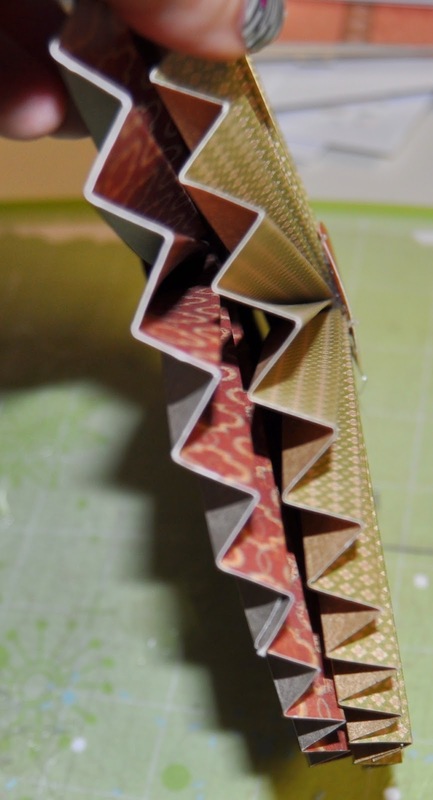 You will then fold accordion style on each of the scores- take note if you start up or down. 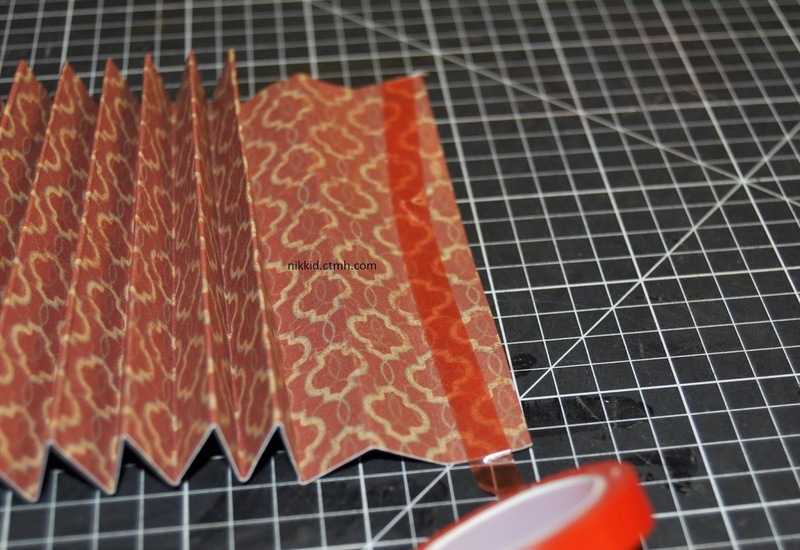 This one below I started down. 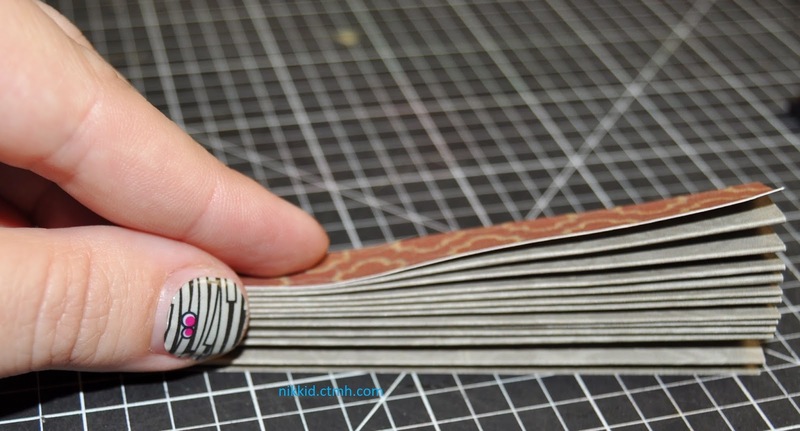 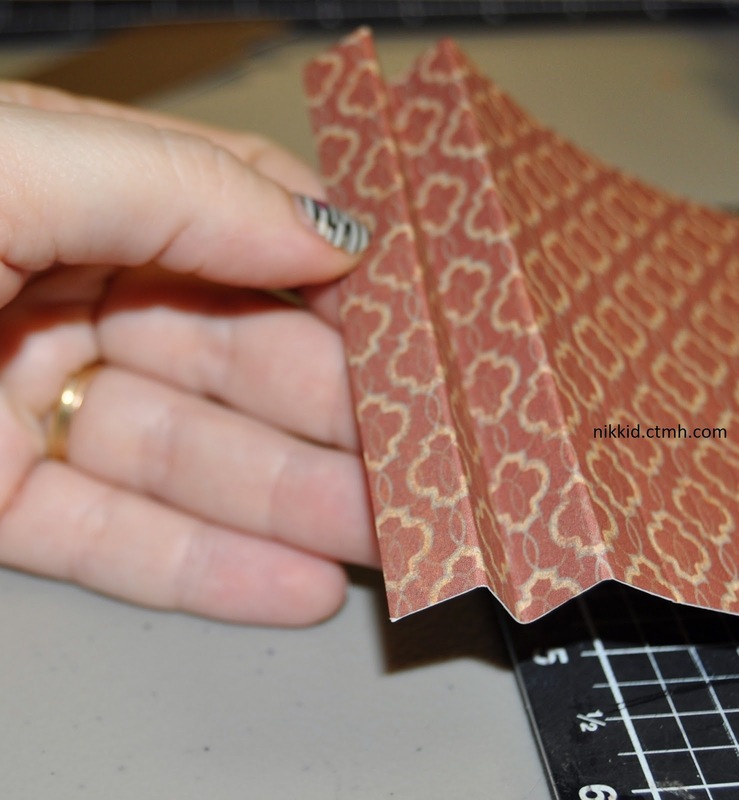 After finishing folding a strip, take your bone folder over it to make the folds crisp. 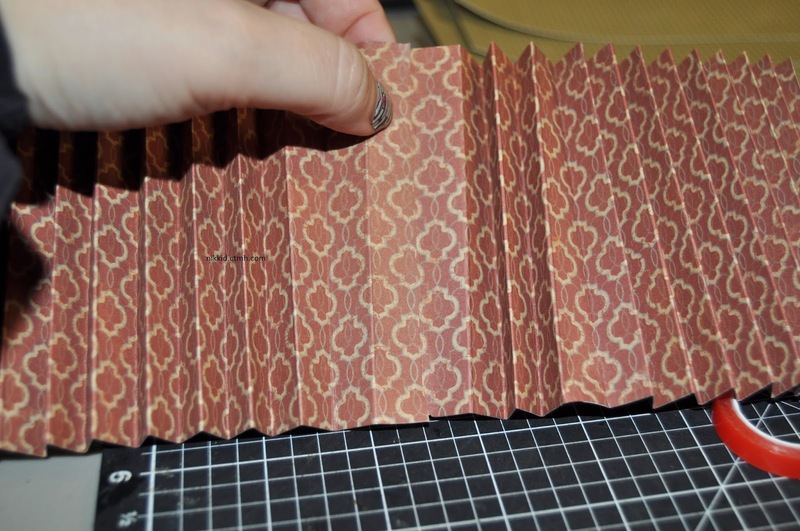 On the second strip- you want to start the folds opposite the last time. 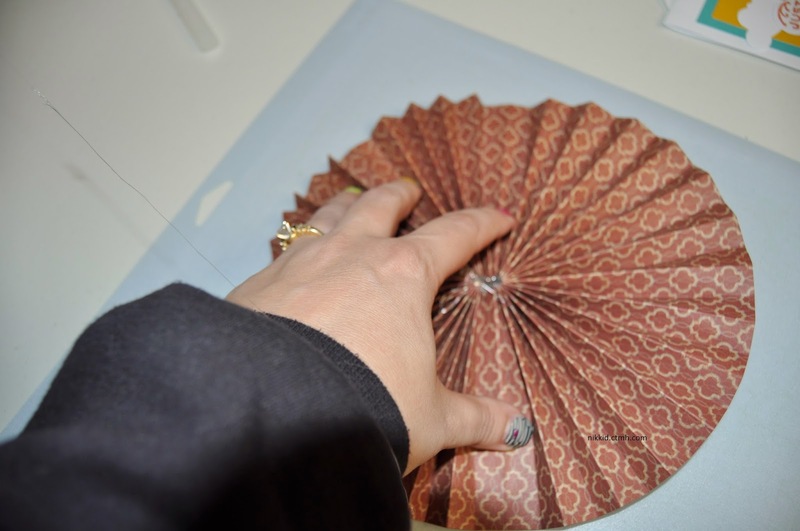 After attaching the first two, attach the third in the same way. 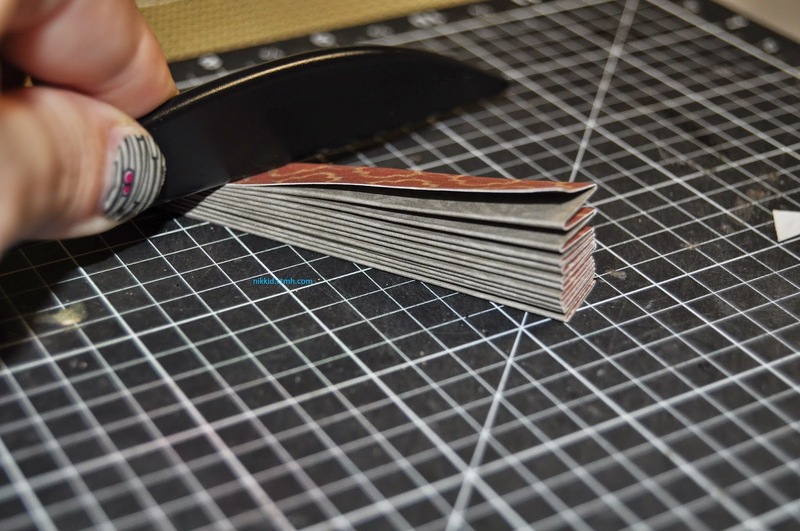 Do this same process for all 12 strips. 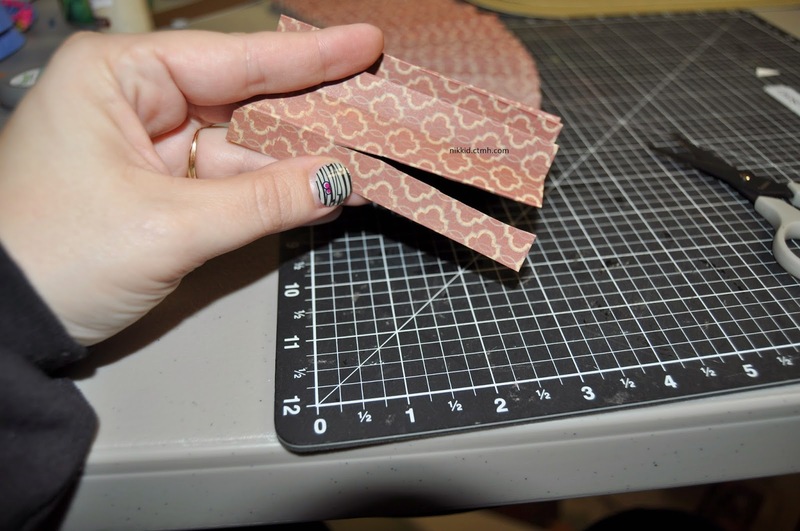 You will use the 3 strips of the same size to make each set. 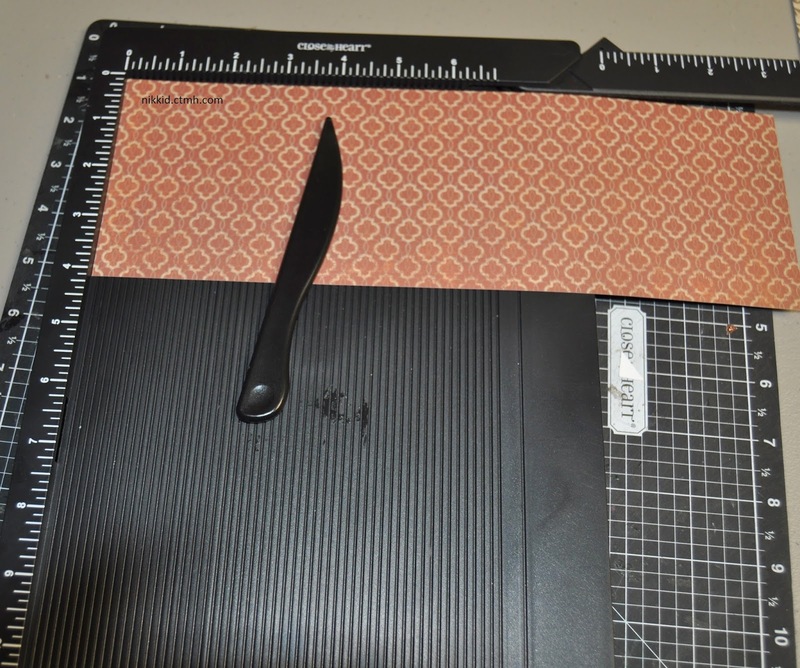 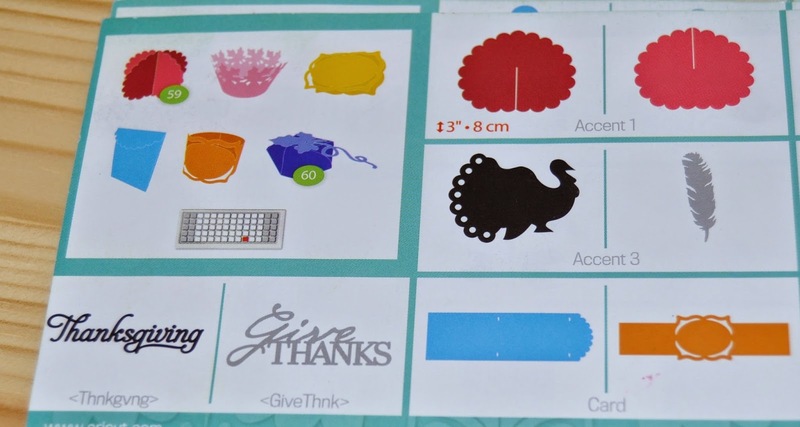 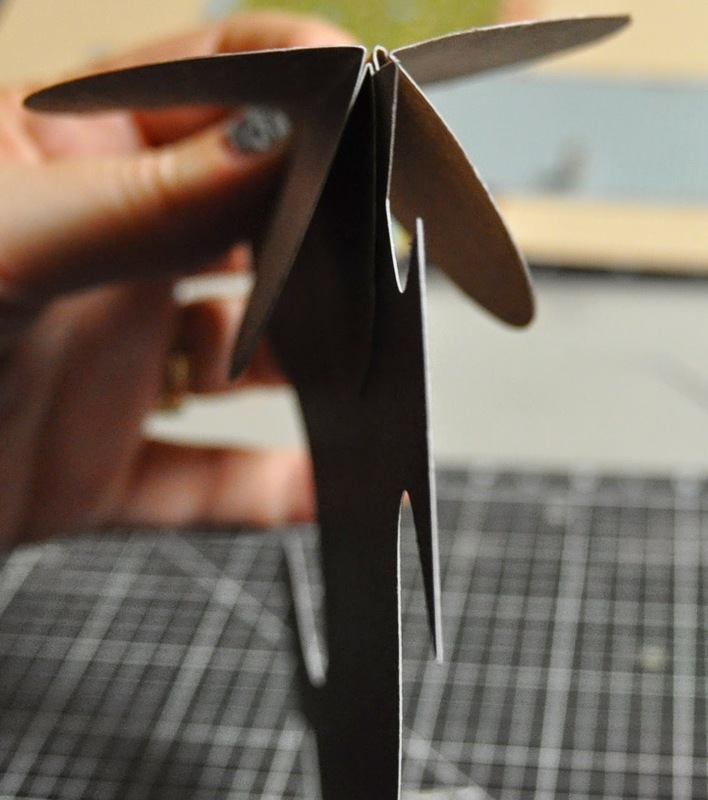 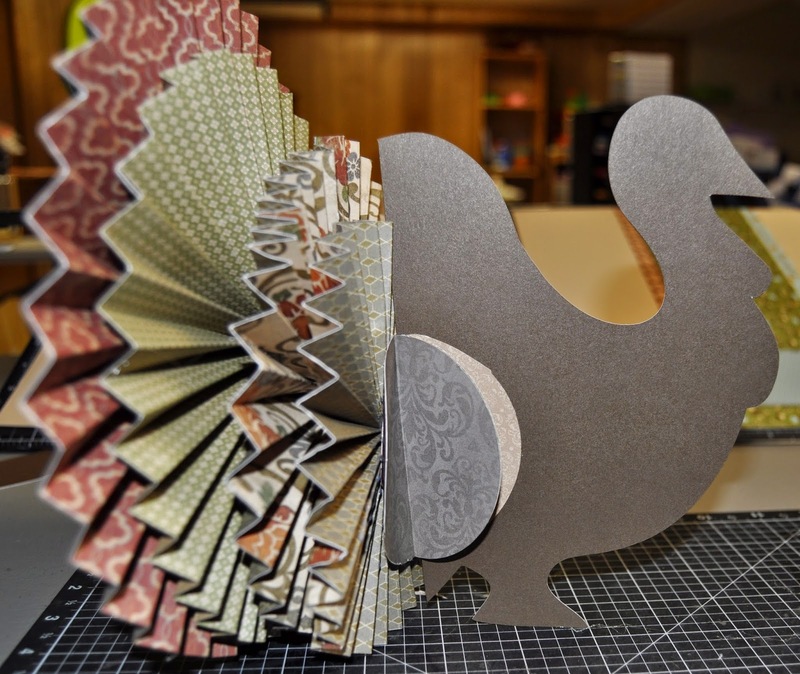 You will then cut the turkey out of the cricut artiste cartridge at 8″. 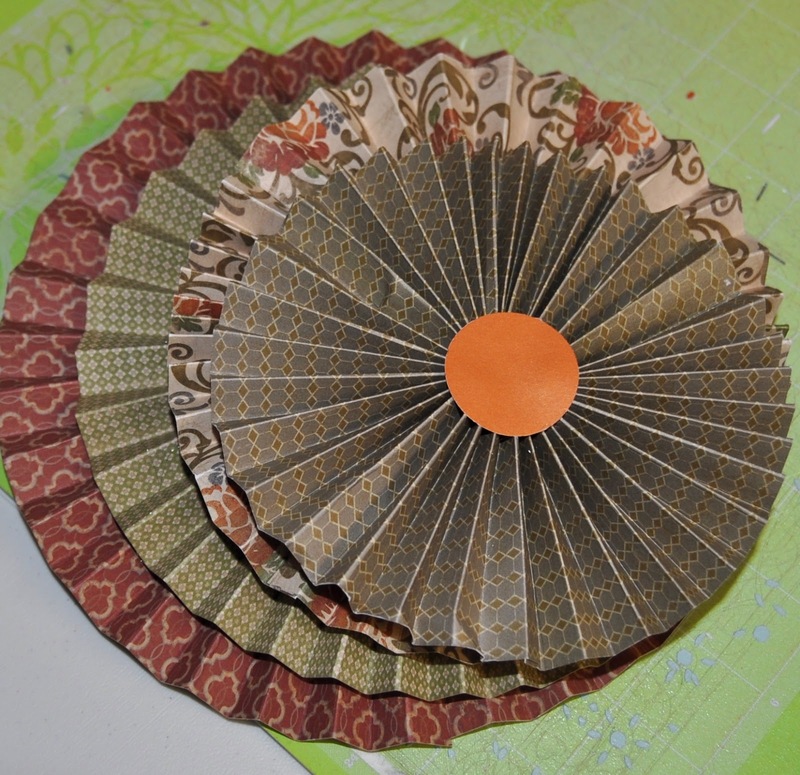 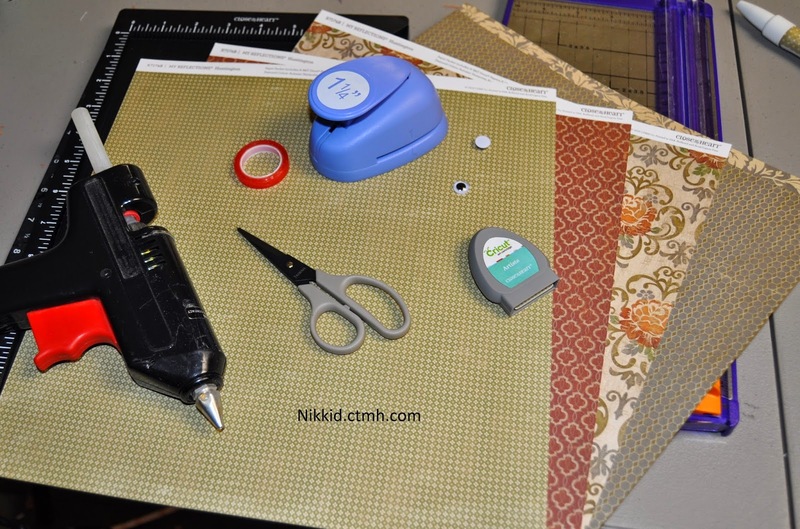 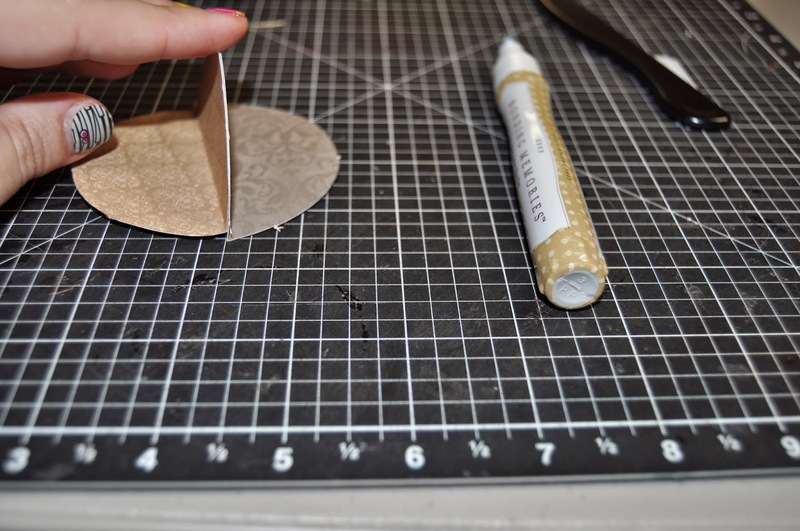 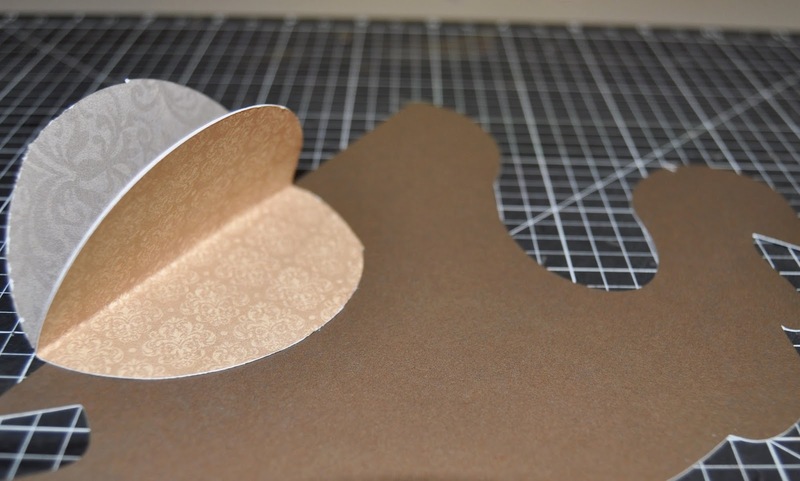 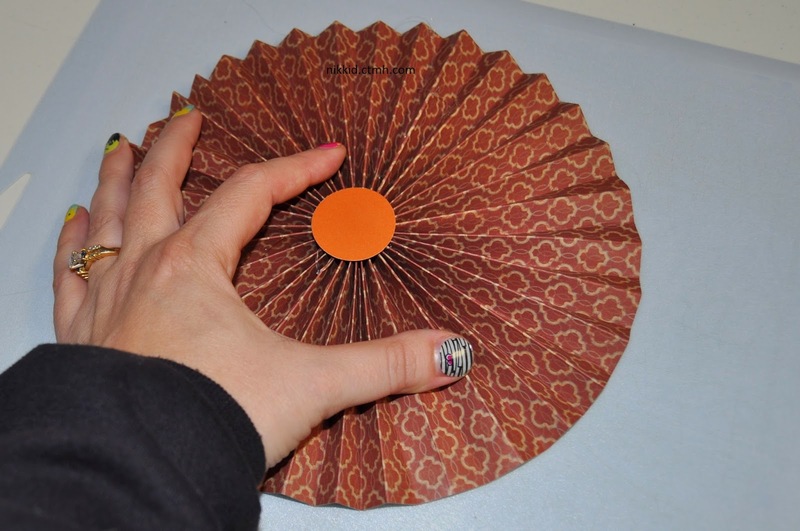 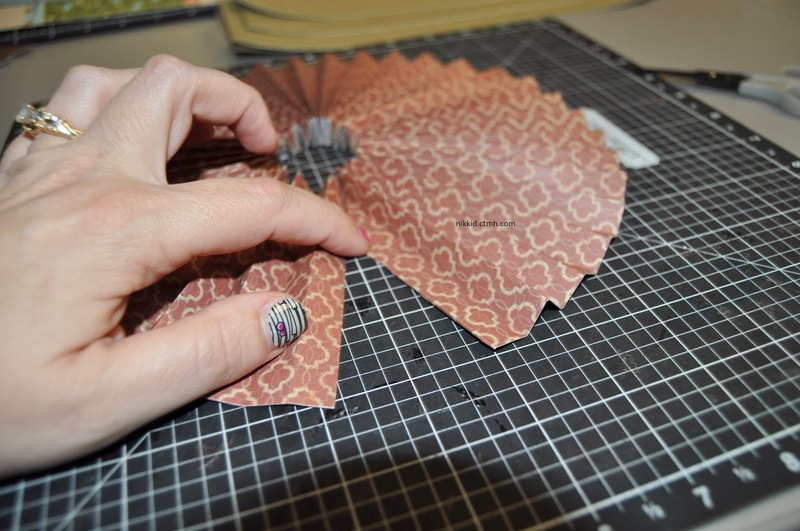 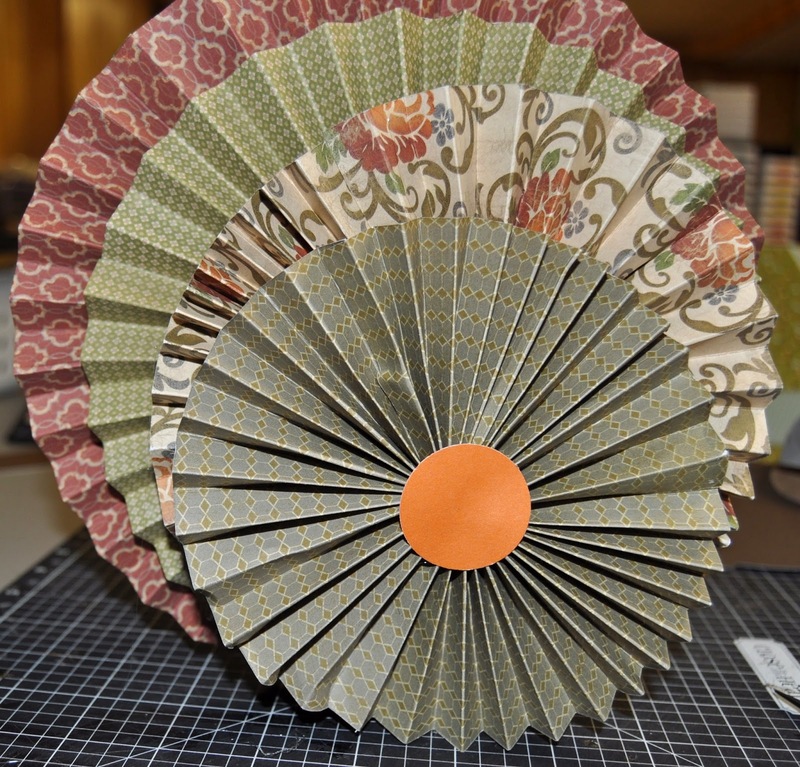 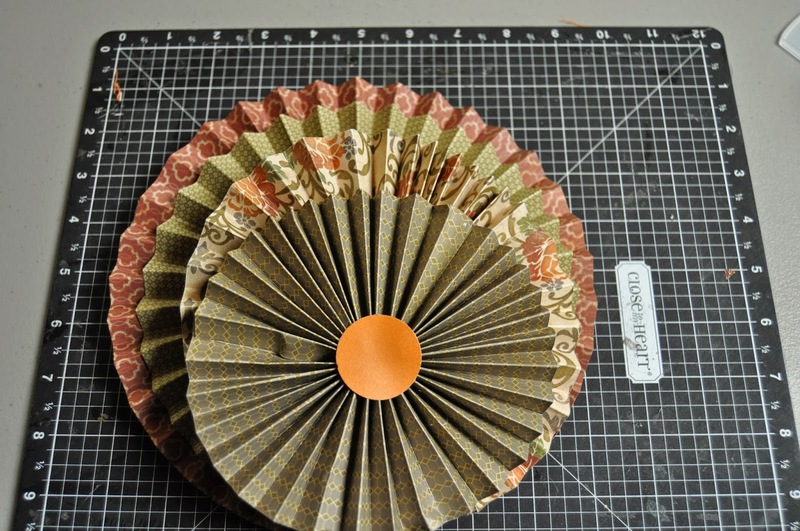 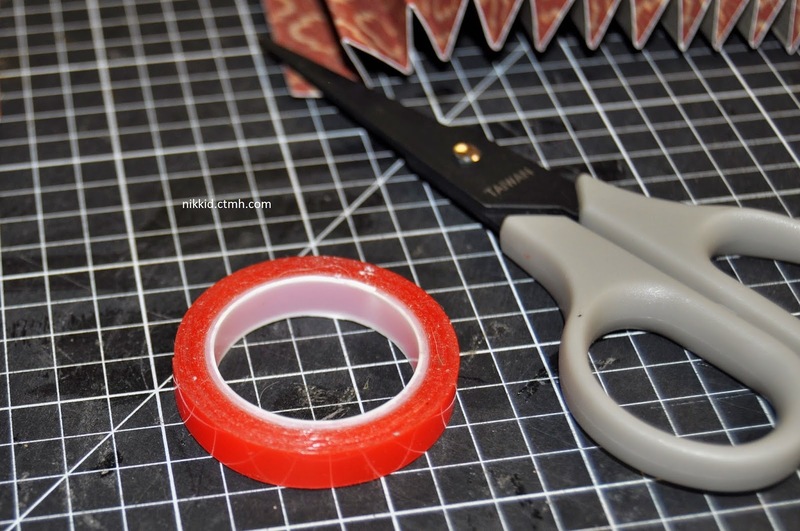 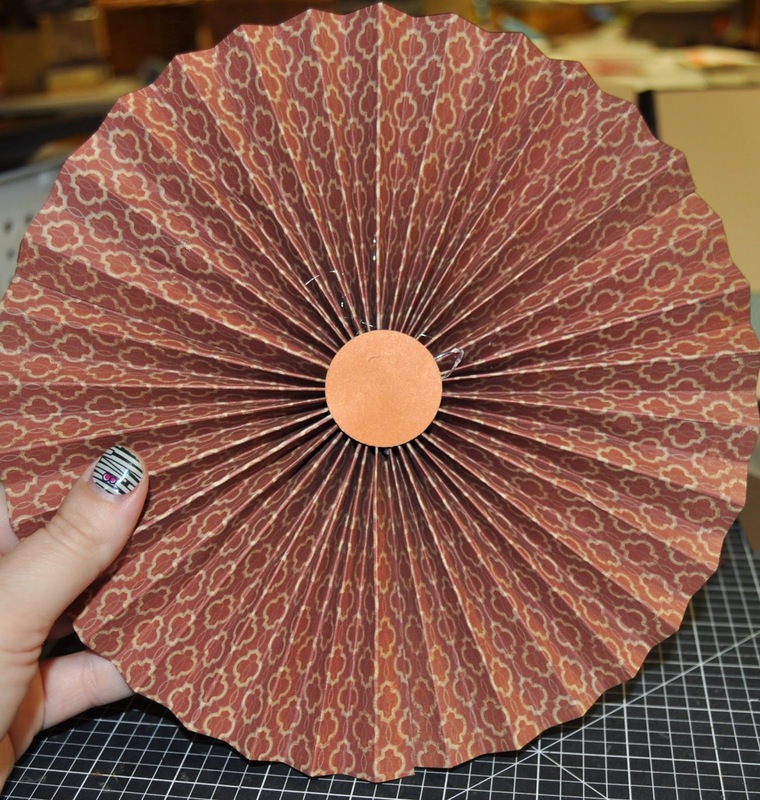 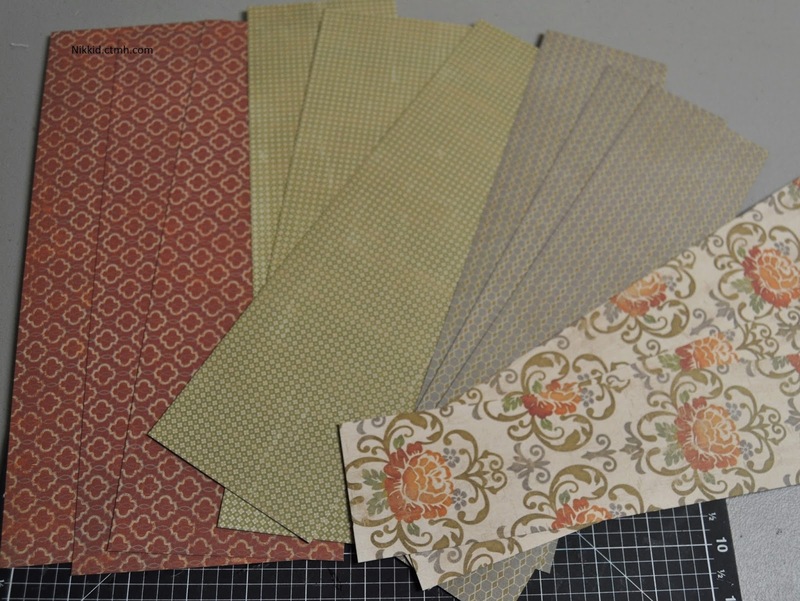 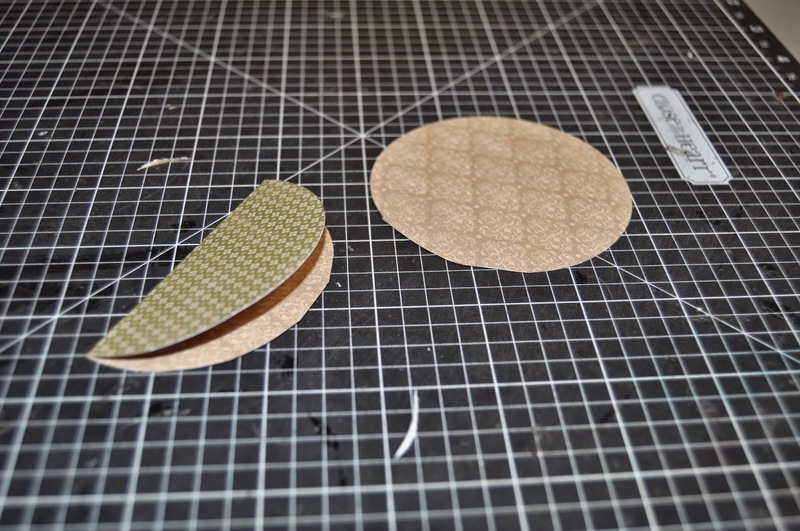 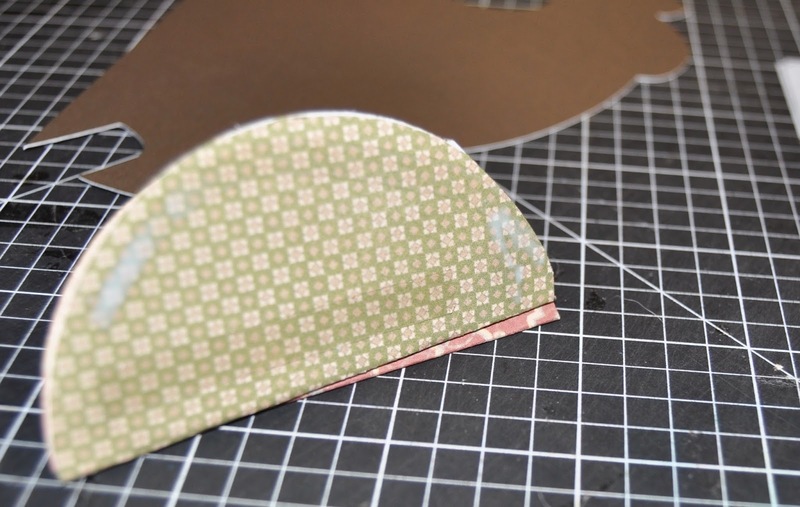 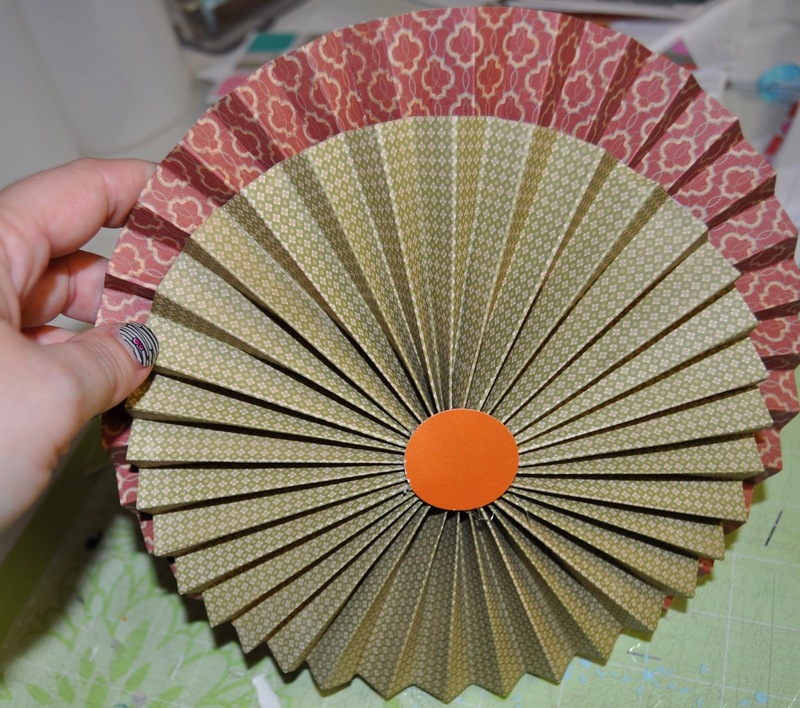 You will cut out 4- 3 inch circles out of corresponding cardstock or patterned paper. 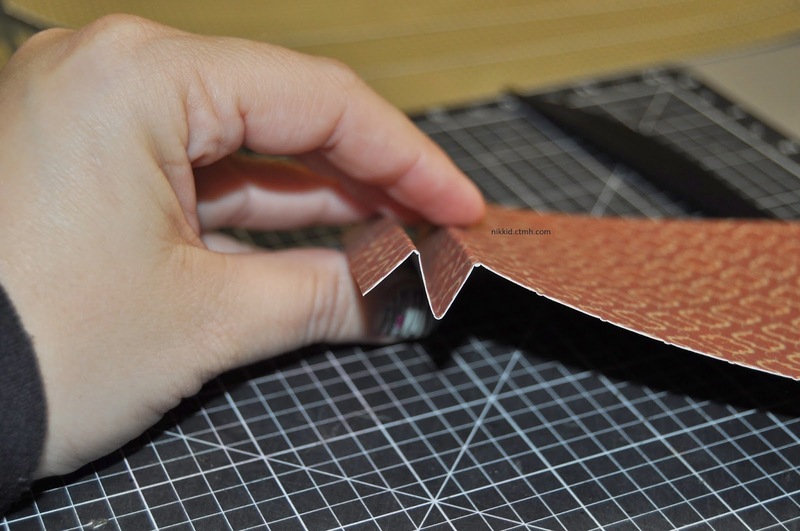 Fold each in half. 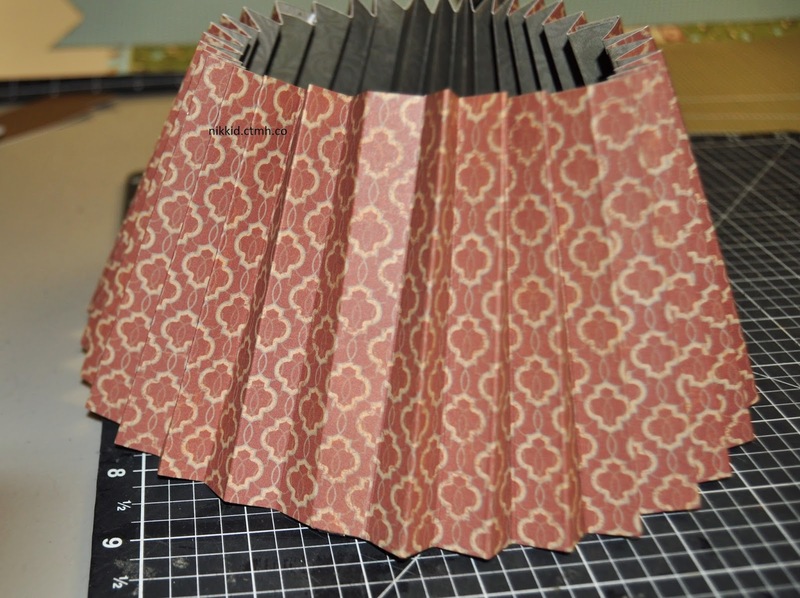 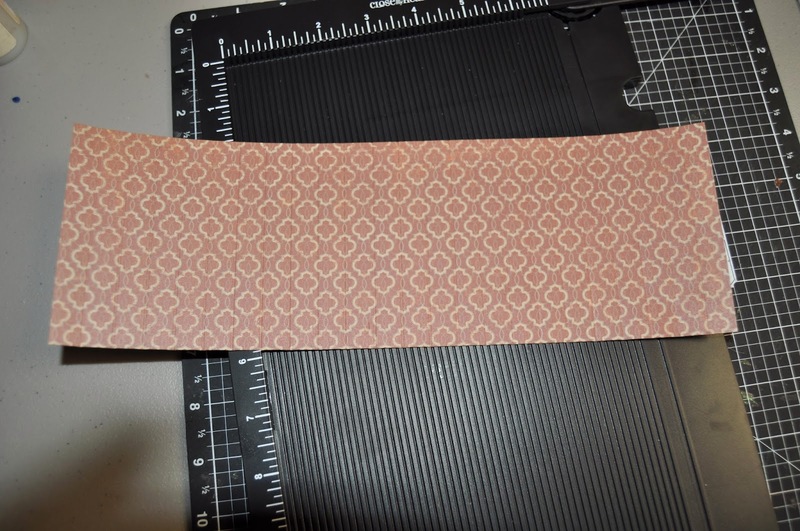 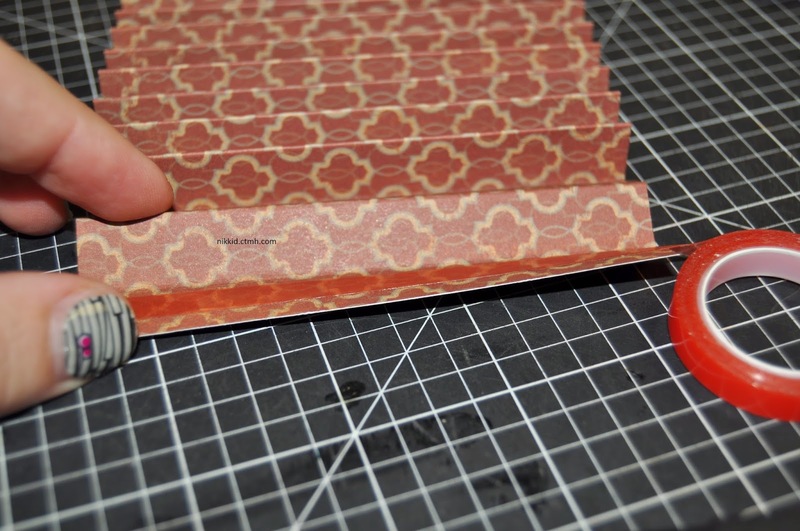 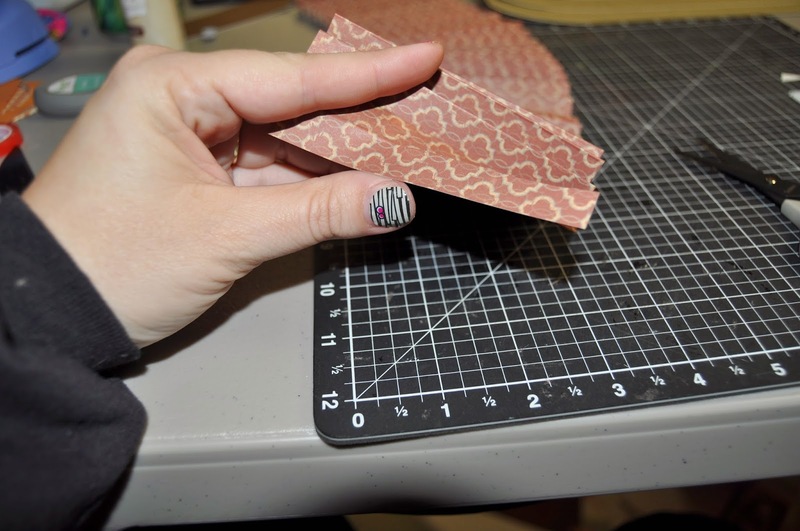 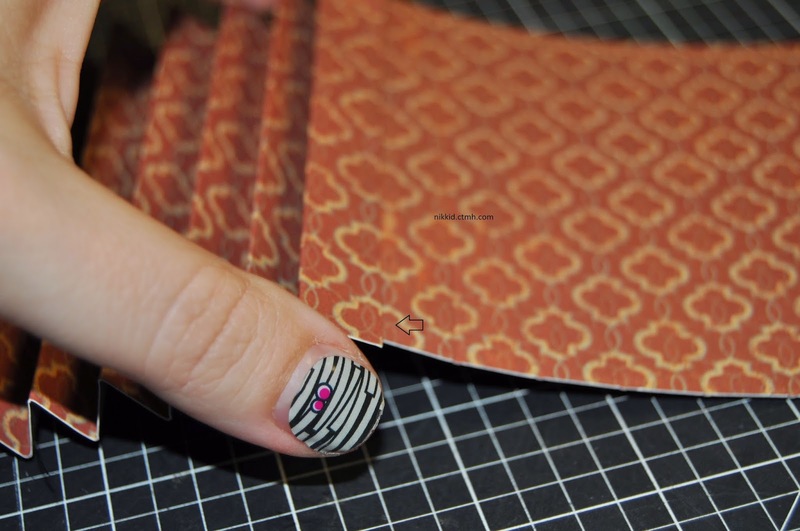 If using pattered paper- the pattern you want to see needs to be on the inside. 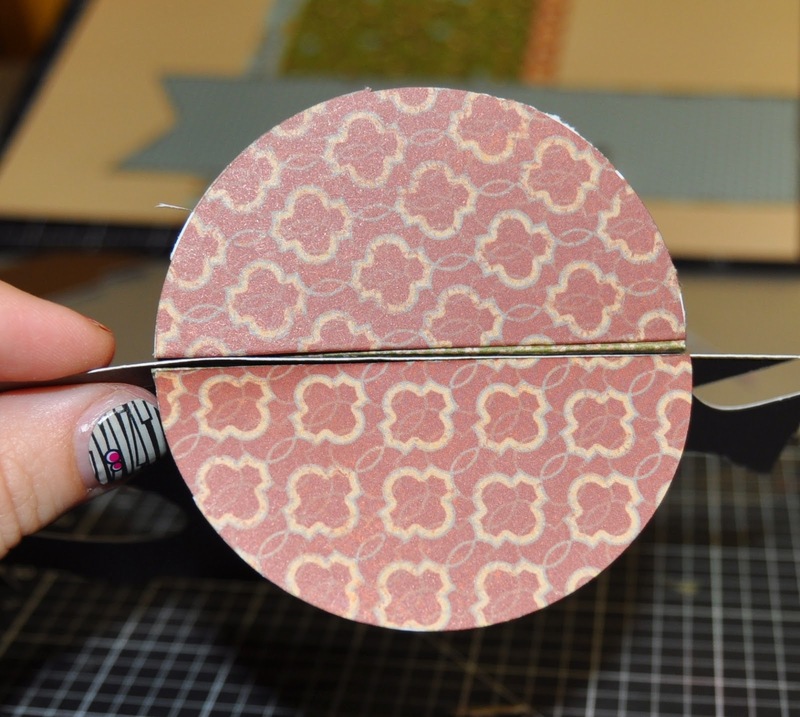 Then glue 2 of the half circles together- making 2 separate pairs. 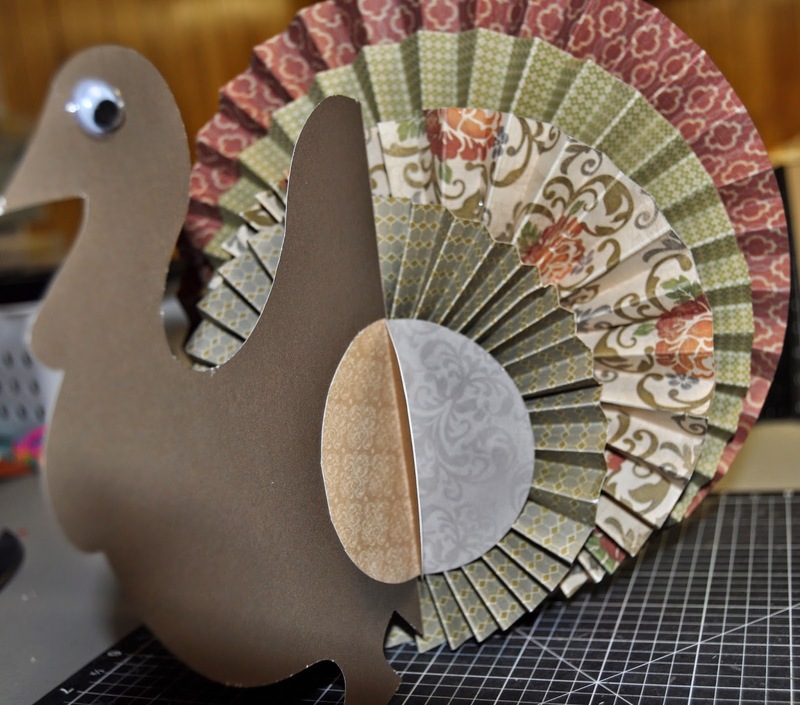 You then glue one side of the folded circle pairs to each side of the turkey. 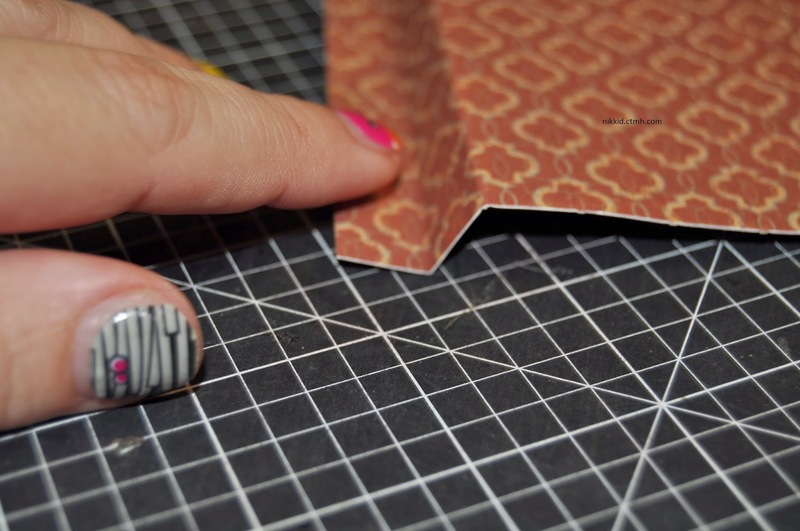 Then take the 2nd largest and line it up with the largest-however you don’t want to line up the middle part. 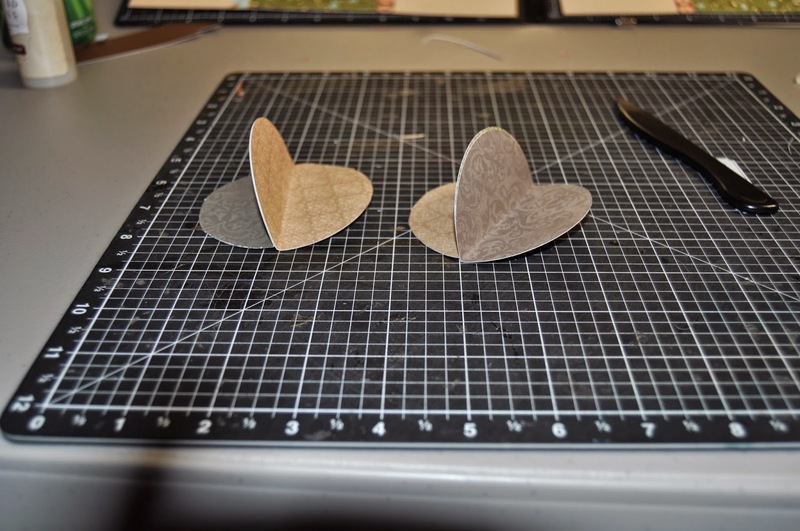 You want to line them up so both bottoms are touching the table. 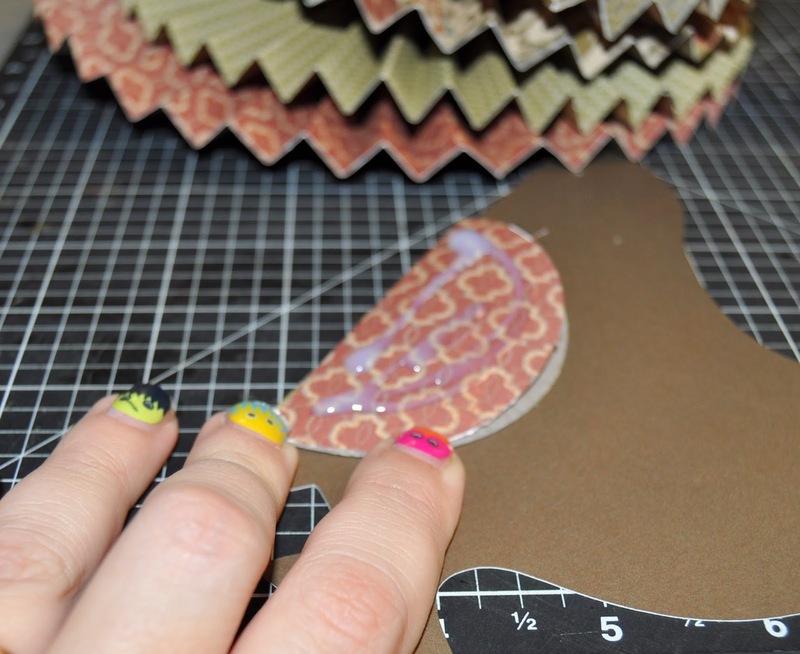 Then hot glue together. 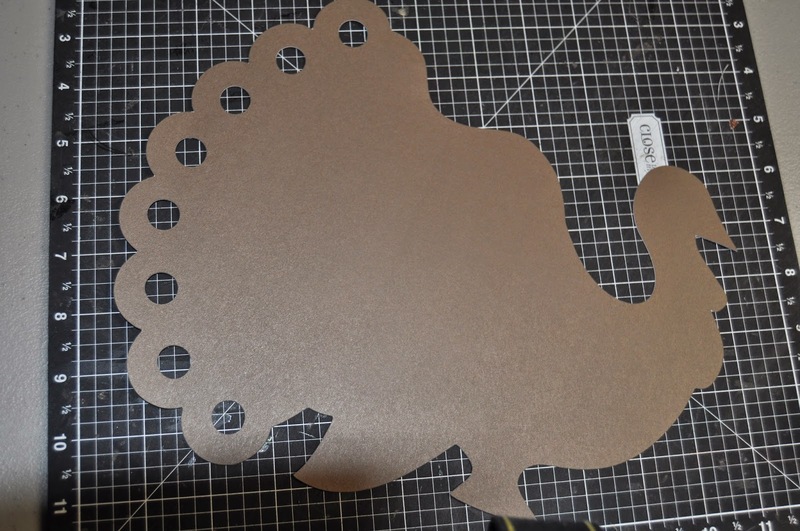 Now put glue on the free part of the half circle and glue to the “feather” part of the turkey. 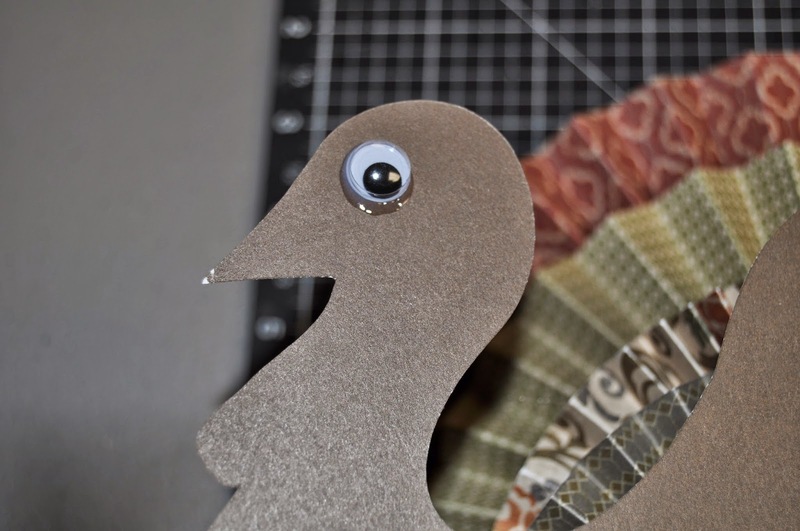 You want to make sure that the turkey will stand up. 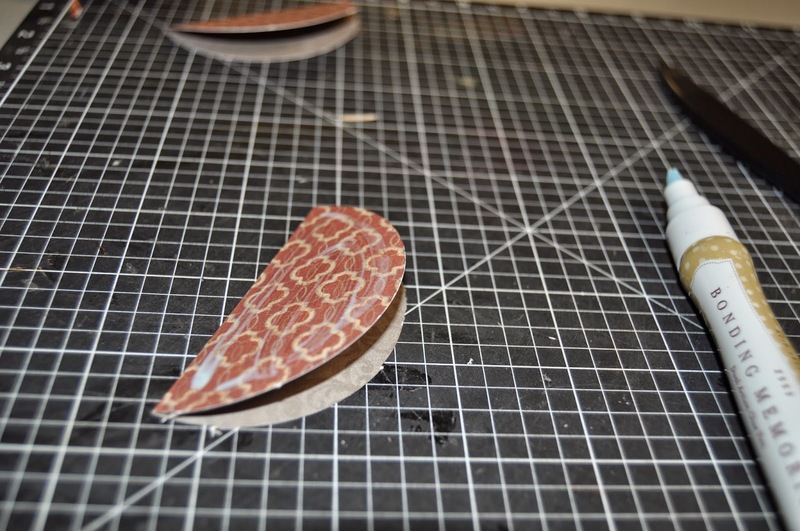 Glue the googly eyes on the face with liquid glass. 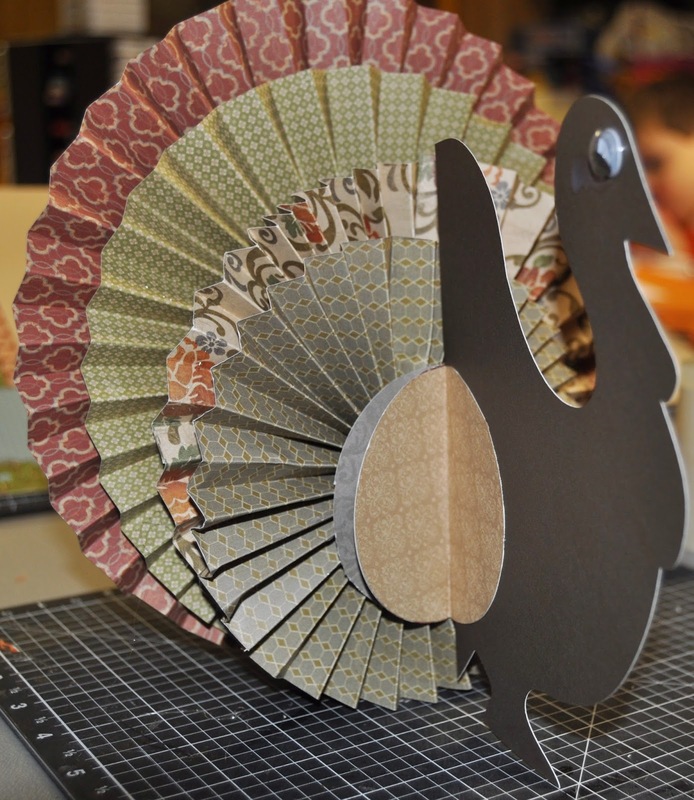 Here is your finished product!! 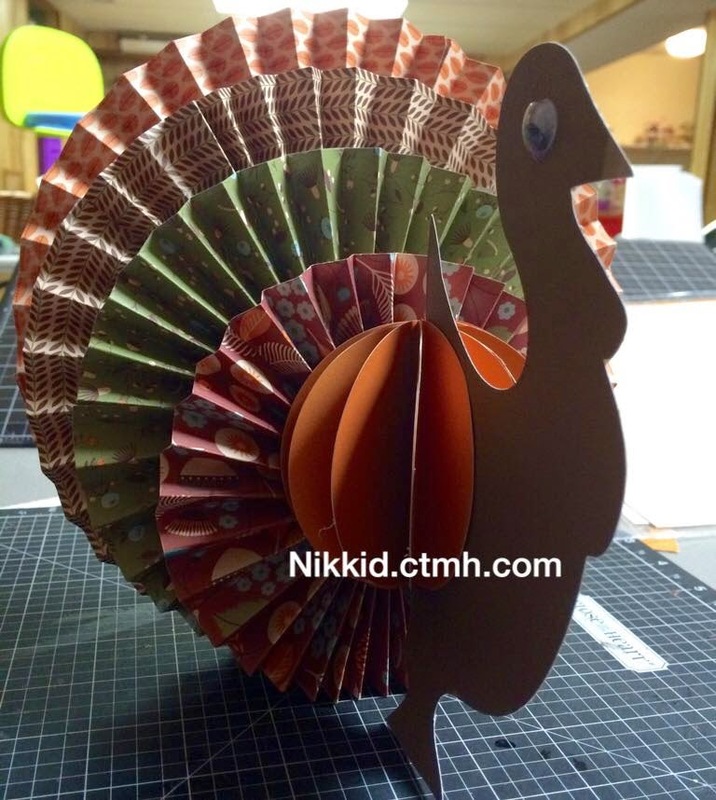 Next Post Black Friday to Cyber Monday Deals!